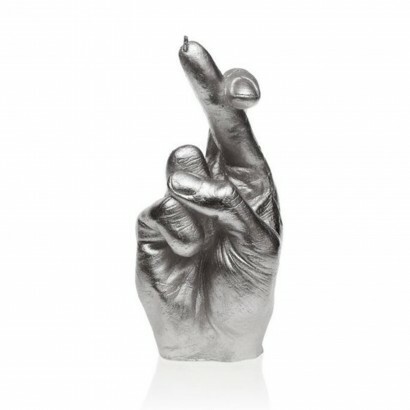 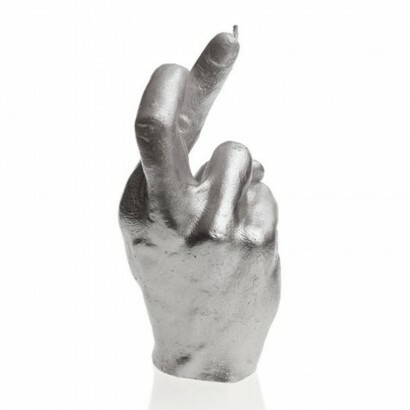 Fingers crossed that you love this realistic hand candle based upon a real life hand! 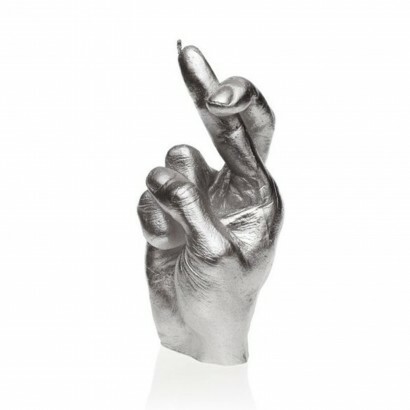 Formed from real wax and coloured metallic silver, this feel good candle is an ever present sign of positivity and good luck. 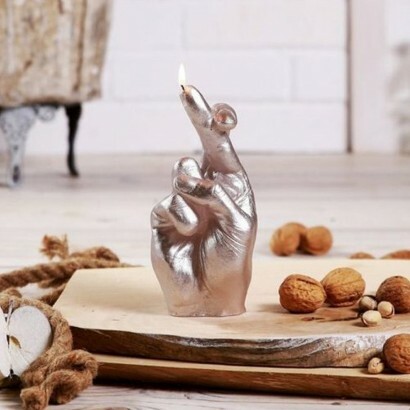 Should you choose to burn this lucky candle you can expect a long time burn of up to 30 hours which is many a romantic dinner or cosy night in!